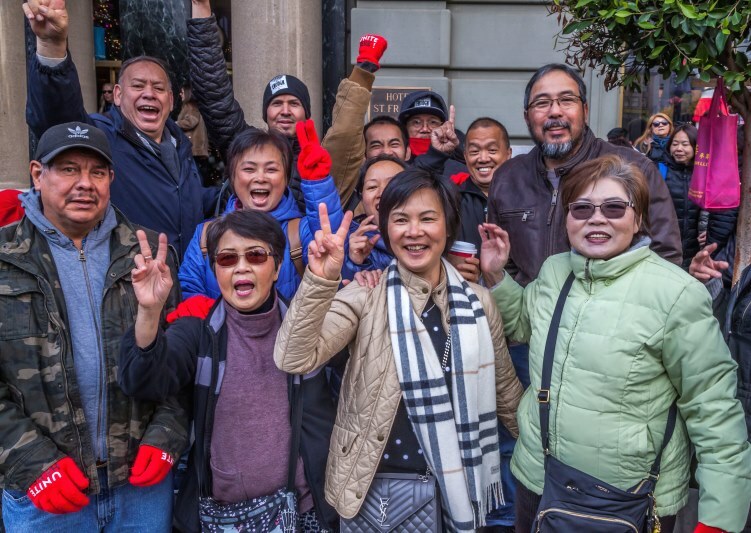 Striking members of UNITE HERE at 7 Marriott San Francisco hotels voted overwhelmingly to approve a new agreement on October 5 after two months on the picket line, closing 9 weeks of strikes at Marriott involving close to 8,000 workers across the country. 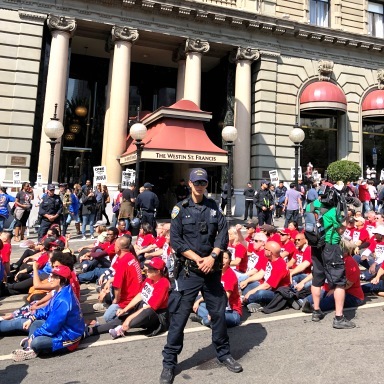 Over 100 union members in San Francisco alone were arrested for engaging in civil disobedience and public protest actions. Over the past two weeks, the union successfully reached agreements with broadly similar results in other cities. The agreements bring increased wages over the life of the four-year contract, with important increases for housekeepers, the most poorly paid, and reduced workloads; reductions in subcontracting; and improvements to medical coverage and pensions. Protection for staff exposed to the risk of sexual harassment is significantly enhanced; at-risk workers must now be equipped with panic buttons and offending guests will be evicted and banned. The agreements provide a framework for negotiating the introduction and impact of new technologies. UNITE HERE has warmly thanked the IUF for the solidarity and support of affiliates around the world in the course of the long struggle.